Winter Break Solution for the Working Parent! Guess what? Winter break is just around the corner! What are your plans? Parties, baking, cleaning up after your kids, etc.? I get it. During the busy holiday season there is so much focus on preparing for celebrations that we tend to ignore planning for the days off from school that follow! I know I am guilty of that! So, what’s the solution? Staying at home and relaxing after a hectic holiday sounds perfect. I wish we all could. However, there is still work…parents don’t always get to take a “winter break” (or February or spring) full of magical adventures here, there, and everywhere. Luckily, my kids are excited by the idea of spending the day at camp. They love summer camp and having a bit of that camp in December is a treat! 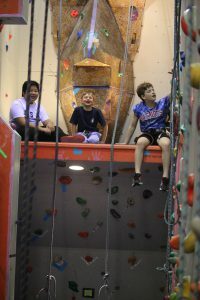 I feel like they are getting the physical activity and socialization they need during their break from the classroom and they love the idea of laser tag, rock climbing, swimming, sports, and their favorite camp counselors filling the long days of winter break. Dedham Health has many options for your family’s health and well-being. Our services range from kids’ programs (such as camp), to fitness to physical therapy to other medical services and more! We believe there is something for everyone at our facility and we will work with you to understand your needs. You can check out the Winter Break camp dates, here, or visit our website at dedhamhealth.com. We hope to see you and your family around the club! Over the past few days, I have heard from several of our youngest members that they have a “Best Friend” at the gym. So many of our young members have become great friends and look forward to coming into the gym to play with one another. I am always so happy to see this happen because I know that when kids have friends at the gym it is easier for Mom and Dad to get their workout in! Besides parents getting time to work out, there are many other benefits of having these “BFFs” for our young members. They expand on each others’ independence and social skills, along with their physical development. Having friends who exercise and participate in activities can influence other children to do the same. “Your child’s social circle is an important influence [on exercise]” – St. John, Caitlyn. DHACs Downtown and Youth Center is the perfect place for your kids to start building these fit relationships! Keep it up Mom and Dad, while you are getting fit, your kids are getting fit too… with their friends! • St. John, Caitlyn. “Why Your Child’s Friends Can Help Them Exercise More.”http://www.parents.com/blogs/parents-news-now/2015/03/04/child-health/why-your-childs-friends-can-help-them-exercise-more/. Parents News Now. 4 March 2016. 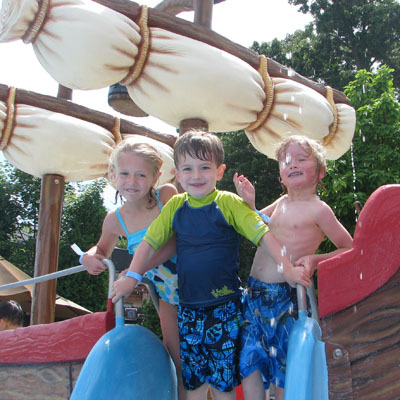 Every week, here at The Ultimate Day Camp @ Dedham Health & Athletic Complex, our campers enjoy a week of non- stop FUN! 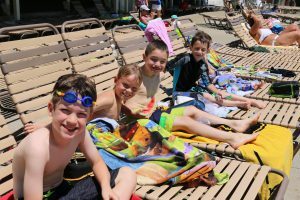 We have swim lessons, free swim in The Summer Club Waterpark, arts and crafts, sports, karate, dance, theater, science and so much more! BUT…Did you know that we also have a cool theme each week? Every Friday we conclude our camp week with a themed special event like our famous “Day Camp Carnival” or “Camp Olympics” (2 of the most popular special events). Check out the summer 2013 “Camp Theme Schedule” and register for your camp weeks TODAY! Hope to see you there! 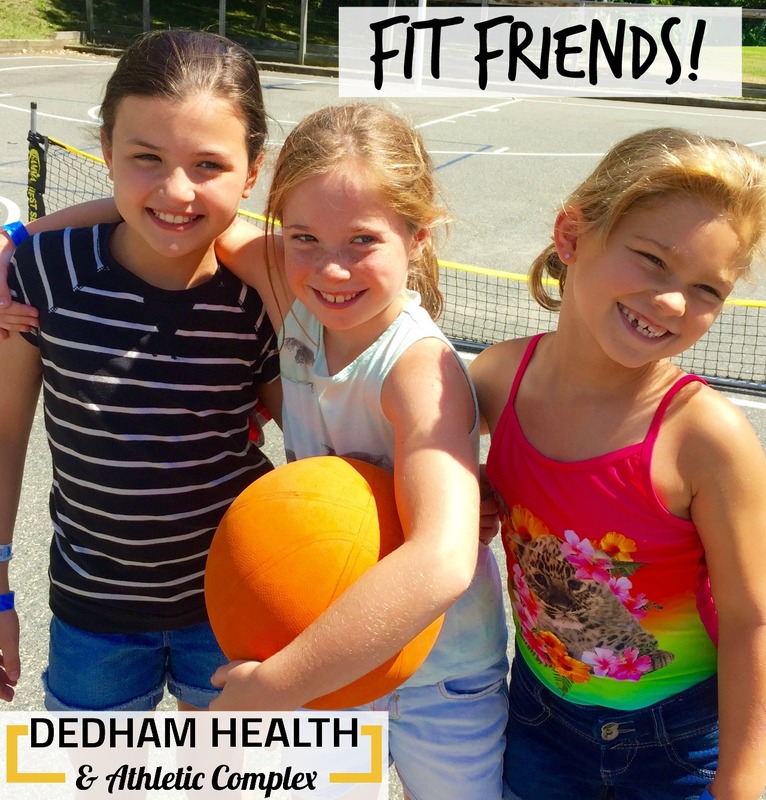 If you have any questions about The Ultimate Day Camp @ Dedham Health & Athletic Complex, please feel free to contact Michelle Sayers, Camp Director at 781.326.2900.